Careers for graduates: learn about navigating taxation laws in Australia and across multiple tax jurisdictions. 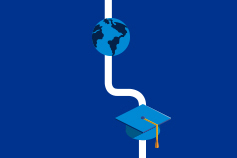 Careers for graduates: learn about navigating taxation laws across multiple jurisdictions. Global Transfer Pricing Services is a unique mix of economics, accounting, finance, strategic thinking and legal application. Our clients are multinational enterprises seeking advice on how to navigate taxation laws in Australia, and across multiple tax jurisdictions. We focus on our client’s international related party dealings and to help them be compliant with various laws and guidelines, both in Australia and globally. In this regard, engagements can have advisory, compliance and controversy elements. As a Transfer Pricing graduate, you would typically be involved in engagements with other consultants, managers and partners. A big part of your role is to prepare the initial analysis and initial drafts of deliverables for review, and ensure the engagement is running according to an appropriate timeframe. The role includes a lot of direct client and ATO correspondence, review of company financials, utilising KPMG’s extensive research databases, and analysis of your client’s business structures with reference to legislation and guidelines. Typically, you will be involved in at least one client call or meeting, one engagement progress meeting with your manager, and respond to 4 to 5 client emails a day. Transfer Pricing is a specialised area that is consistently changing, and adapting to reflect the global landscape. As such, a lot of the first year revolves around learning, and understanding the basic the elements of Transfer Pricing. Specifically, understanding the transfer pricing methods and the appropriate application of these methods to the specific client or industry, understanding the role of benchmarking, and understanding the application of the law and guidance. The most effective way to really get a good grasp of the transfer pricing elements is through the compliance engagements. As such, your first year will be geared towards gaining confidence in compliance and effective direct client communication. You will also be involved in at least one bigger advisory engagement in the first year to test out your knowledge and develop your engagement management skills. In the Transfer Pricing team, the best part of the role is how involved you are, particularly at such a junior level, with the ultimate deliverable, and the clients. You truly feel like a pivotal part of the engagement with very real responsibilities. You will gain an in-depth knowledge of this complex, specialised area of international business and taxation law as it sets you up for a consistently ‘in demand’ career. 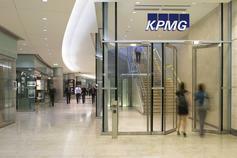 The transfer pricing team at KPMG is a very close knit group. It is fantastic to have a team that is approachable, available, and happy to provide guidance whenever you need. KPMG’s Transfer Pricing Services team can help generate tax efficiencies and reduce risk.